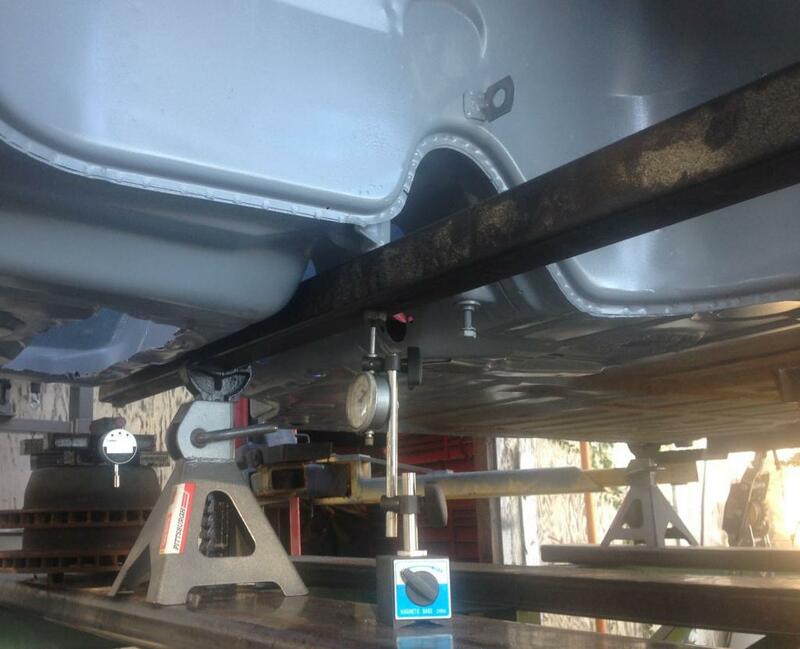 I want to check the stiffness of the 914 chassis two ways: the flexural stiffness (as in measure the shock tower movement as you lift it from the middle), and the torsional stiffness ( measuring the shock tower movement as you lift three wheels). 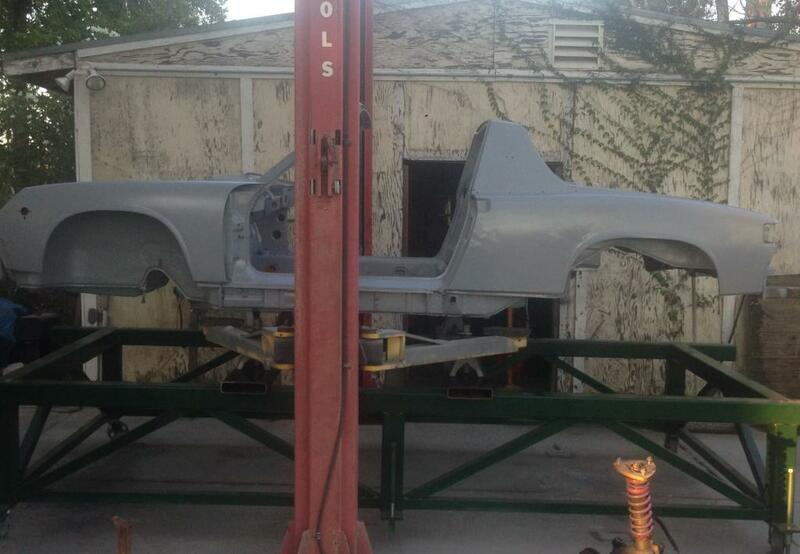 Then I want to input a 914 chassis into a 3d structural software that I use. I will design a tube chassis and check the flexural and torsional stifness with different tubing and thickness layouts. Then construct the tube chassis and compare the real world results. I want input from others as to how they would go about doing this. Or maybe give me some pointers. Or maybe someone already knows the factory stiffness? It's been done. Most recently by anklebiter. Search for his build thread here. Sorry, "it" has many meanings. In this case it meant tube construction. 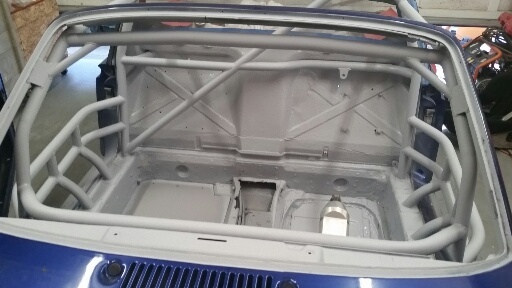 The 914 chassis is also pretty easy to model in sheet metal mode, particularly in the areas of worst torsional and flexural stiffness - which is under the doors. Having modeled many things by hand and with FEA, I bet you get 90% there, Or, you can always measure the real thing with a jack and indicators which eliminates all the FEA guesses and gives real results. Think about it. 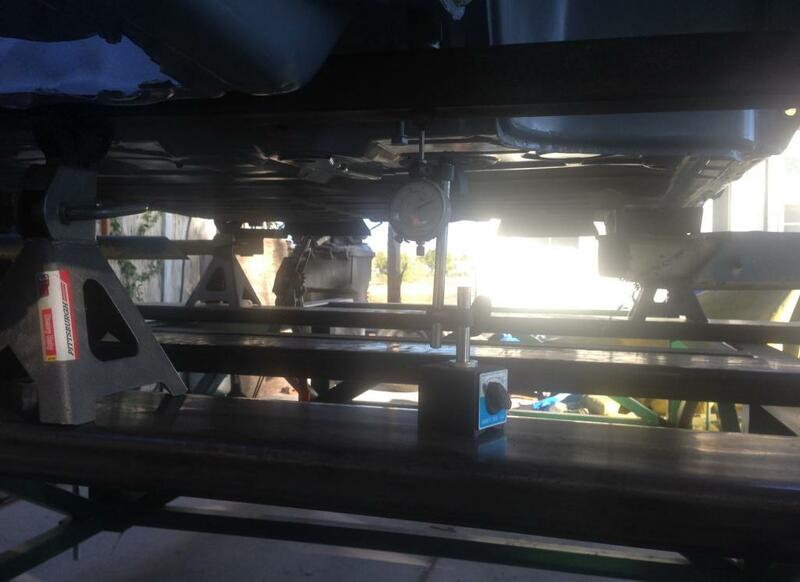 If you jack up one front wheel and measure for deflection at the rollbar, the torsional stiffness will be related to the point at where the front wheel moves up a little at a time until the chassis finally twists enough to move the rollbar torsionally. For flexural stiffness, jack it up in the front a little at a time and measure the point at which the front of the rollbar finally moves up. Thanks for the suggestion. I have access to a 3D laser scanner that is used for surveying. I am planning on scanning the car to get the 3D surface. Drape a finite element grid on it with sheet metal elements like you said. Then I'll have a model to work with. I can then try different scenarios to see what works and what doesn't. Additionally modeling it this way will allow me to model the tubing/strut tower interface which will have some flex and will model the the way it would behave in real life. I've seen some tube frames done that I know will not work. I can always run one or two real world test as you mentioned and see if the results are in agreement with the model. Thank You. It's nice to be back. Looks like the 914 enthusiasm is still out there. Nice to be in it when there are many other enthusiast that can add to your knowledge. Well after a loooong time, the final numbers are in! I ran a twist test on a 996 to compare with the 914. The 996 C4 Cabriolet has stiffness of 4,568 '#/Degree. 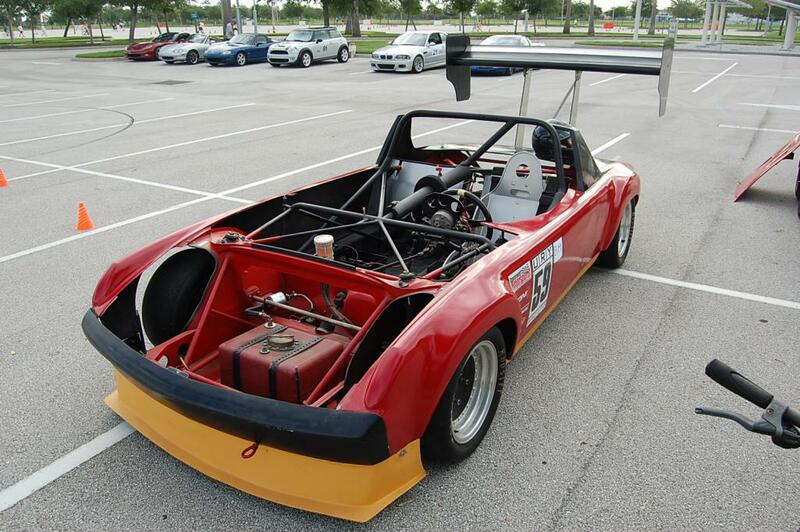 The 914 has a stiffness of 3,326 '#/Degree. So the 996 C4 Cabriolet is 37% stiffer in torsion than the 914. Makes sense, since you'd think that the newer Porsche should be stiffer than the 914, which was built with technology of the 60's. 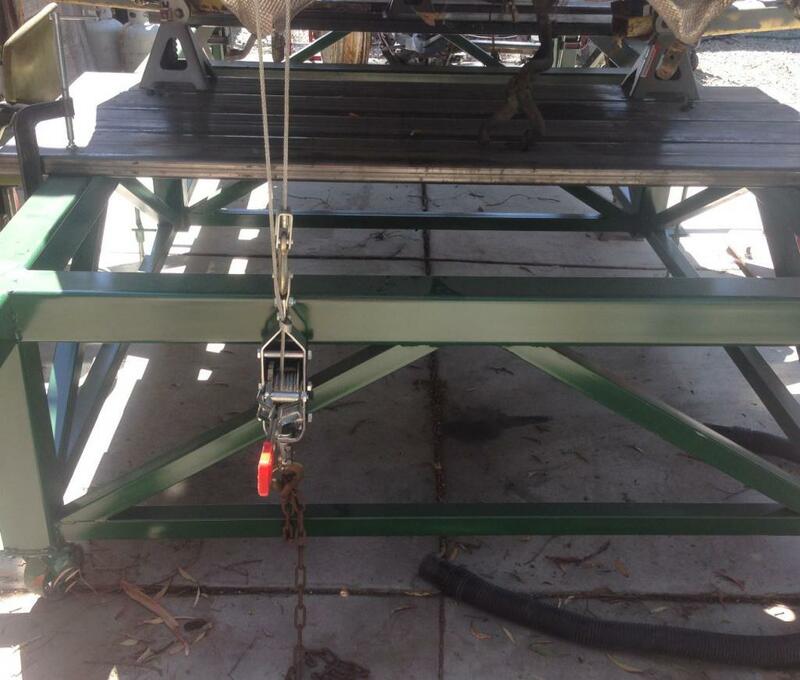 The next step is to place the 914 on the suspension nest and start building the tube frame. I was thinking of stiffening the longs with the Engmann kit, but I'm steering away from that. I will be stiffening the "longs" with a truss system built inside of the longs. That will be the first order of work. I will twist test again at that point and see what improvement we get. I installed Brad Mayeur's long kit on the outside and it seems to have stiffened the longs considerably. No measurements, but it's another option. I admire your commitment to detail and look forward to your projects progress. It has been my experience that the tub needs to be tied together to the rear suspension points. I for one, do not tie-in the front suspension points. I have a very, very rigid chassis and I'm sure your internal "truss" design will prove beneficial. My design goes well beyond the chassis - as in protecting me and passengers in "worst case scenarios". Keep up the good work! One of the "biggest gains I experienced was tieing-in the windshield frame - it also helps to protect against "cracking" the glass due to flex. Worlds of difference - you WANT to do this! Yes they did do a shaker table analyst of the 914 and yes it is up-fixing. If I remember I'll get it out for you. It was either with Dwight Mitchell or Terry Zaccone (both well-knocn local autoXers) that they did the shaker-table analysis. They found some vibration node locations and were able to stiffen the car significantly accounting for those in their roll cage/bar design. The internal truss inside the longitudinals is a very neat idea! 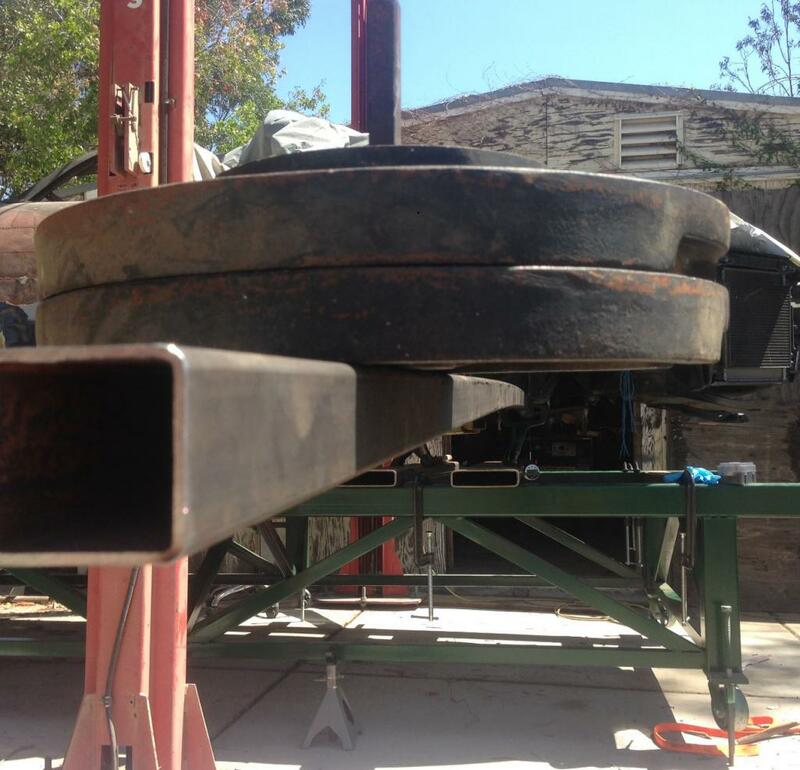 Some parallels to Racer Chris' trailing arm stiffening versus the GT-type trailing arm stiffening. You will lose the heater channels, but it sounds like you aren't interested in any kind of heat so that's not exactly a loss. I am told that a bar across the cockpit where the rear firewall meets the floor (i.e., just behind the driver's and passengers' butts) also helps stiffness in the chassis. No experience with it myself. Hey guys thanks for the input. Man I would love to see that shaker table analysis. If you guys can find it and post it, that would be fantastic. Hey Cracker, I'm laughing as I say it....but that is your handle, thanks for your input. I was debating on whether or not to tie in the windshield and had decided against it but now I will go back to it. You gave me a great idea in how to solve a problem I was having trying to get a load path to travel where I wanted it to. You just gave me a supper idea. When I incorporate it I will definitely give you a shout out. You'll see it and laugh. And yes, I will tie the rear struts.......but also the fronts. As far as doing a long stiffening by adding material either on the inside or outside, I not doing either. However, if someone wants me to wist their car on my table we can do that and see what the results are. Then we will know how effective they are. I suspect that they are pretty good. The longs really need the reinforcement. As you can see from the results of the twist test. I'm not sure what kind of car you're trying to ultimately end up with but I know what I my goals were. This is or could be pertinent to what you are doing. 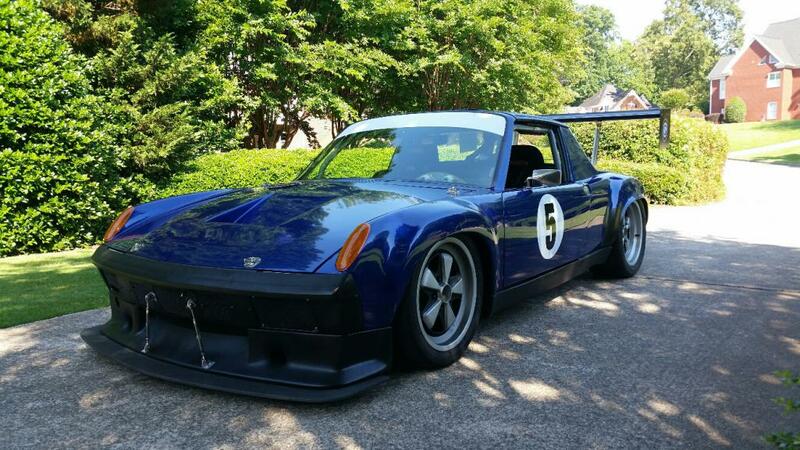 Its a fine line, when building a modified 914 (or any car), between maintaining the integrity of the original car or basically building a race car/tube frame. I certainly wanted a floor pan car that was comfortable enough to drive on the street, maintain a virtually stock GT appearance, and finally, have a level of performance to run the tails of a modern Cup car. Difficult to say the least. My wing and splitter come off in a matter of minutes but I like them on...so on they stay. I like what I see you doing but I just don't know what the end-game is or will be - time will tell. I look forward to seeing your solutions and ideas vetted out...not that I can help you in the least but if I can be helpful, shoot me a PM. PS: One more thing, at the end of the day, safety is king and takes priority over comfort and aesthetics - it isn't everyone's cup of tea, but suits my palate just fine. Center torque tube tying the back and front together.